In this lesson, I’ll be taking you through the process from beginning to end. Watch as I guide you through the options for creating your piece as I gather my supplies together. 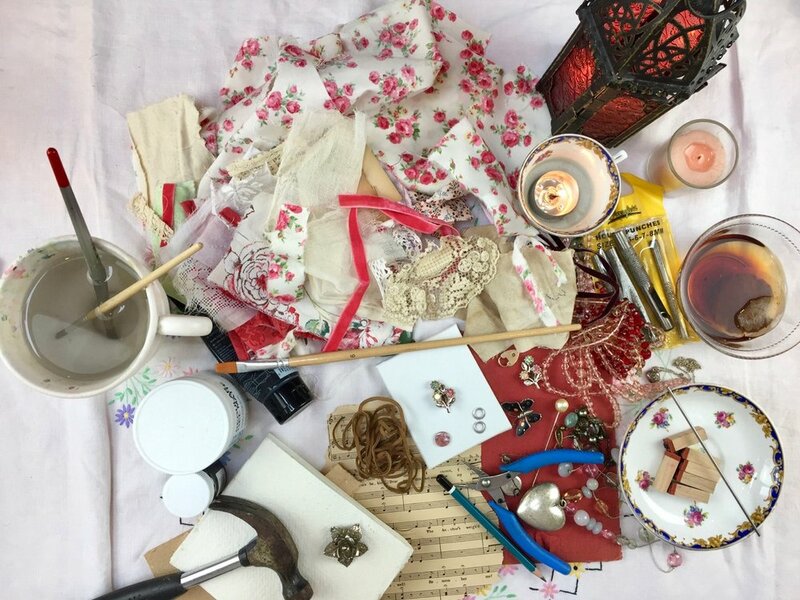 Then, I’ll share my equipment and method for punching the holes through the book cover so that you can adorn your piece with forgotten pieces of jewellery and other pretty items that you wish to include. 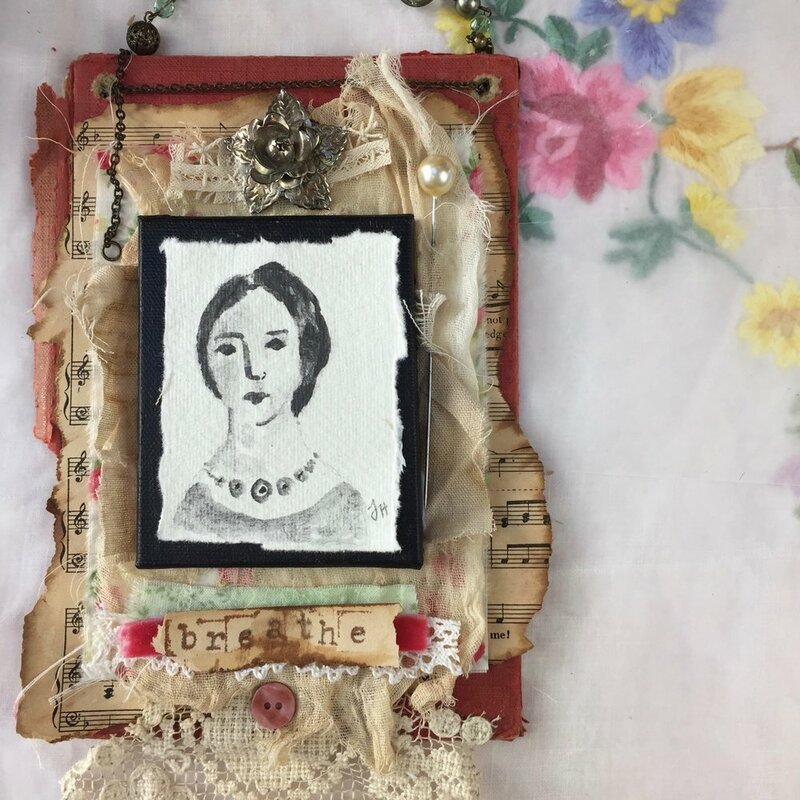 Next, we’ll move on to the miniature portrait - I think you’re going to love creating your very own miniature portrait. Finally, I’ll share how I assemble everything and how I’ve finished the artwork on the reverse. And as usual, you will be able to download the videos as well! 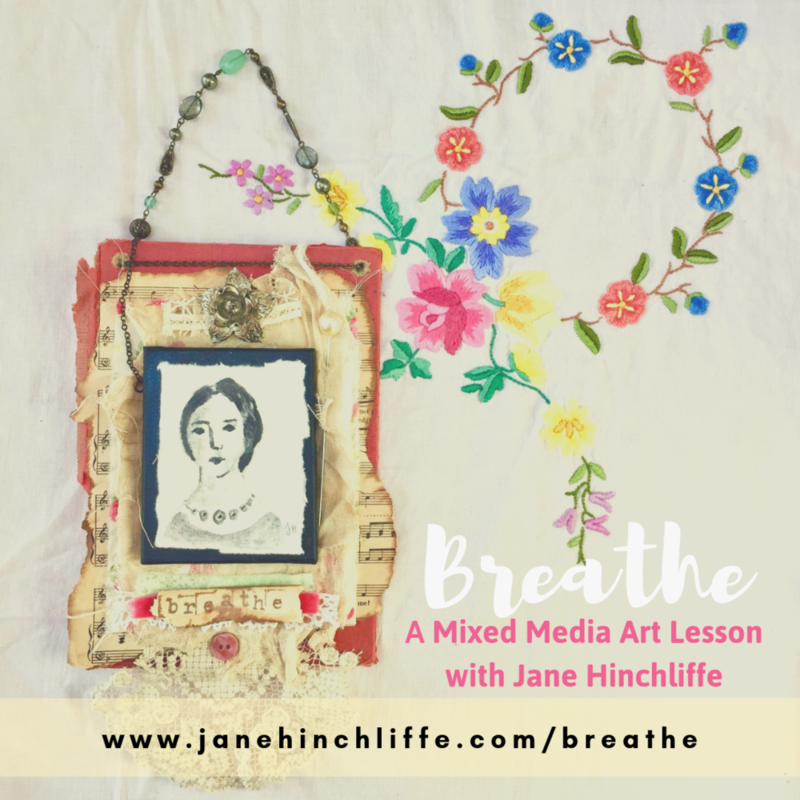 Breathe is for anyone who enjoys pretty and feminine mixed media art combined with portraiture. Prior art experience is not required - just come with an open mind and have a go - all the videos show you what to do, step by step and if you have any questions, you know you can always ask me for help. I'd like to purchase an online class - once I pay for the class, how long will I have access to the lessons? We’re all busy and I understand that time is in short supply. You'll be happy to hear, that you will have lifetime access. This means that for as long as I own this website and am operating this business, you will have access to any content you have purchased. Can I download the videos from your classes? For your convenience, in this class, all videos will be available for you to download to your computer. You'll receive a purchase confirmation and another email with your personal login details for your class. Please note, some classes rely upon me personally sending you login details, so if this is the case, I will do my best to contact you asap (bearing in mind different time zones etc). Please contact me here - I'd love to hear from you. For a full list of online class questions/answers, please go here.